How to validate XML against XSD schema? XML documents are dramatically often being used as a format of data interchange. However for an XML to be appropriate to various users, the XML has to conform to a standardized structure. 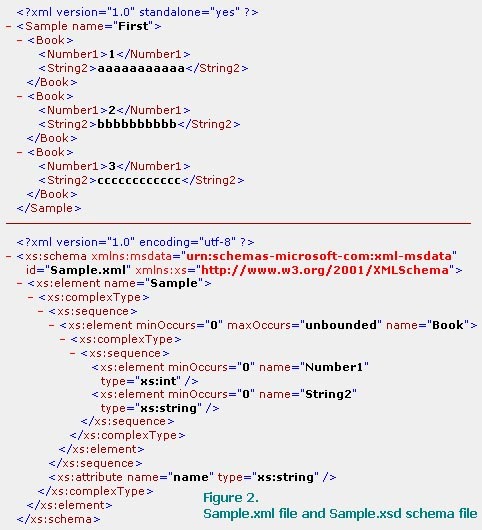 XML XSD Schema is an XML-oriented representation of the structure of an XML document. XML XSD Schema has the power of possibility to provide the standard structure for XML attributes and elements, through its support for namespaces and datatypes. You have to validate your XML file to make sure it fits to your application's needs to prevent any exception in your code. 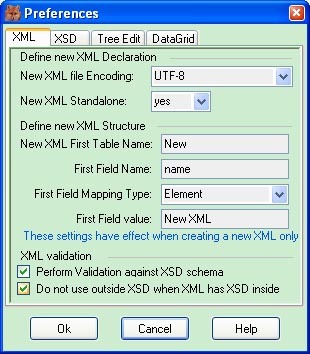 To check if your XML document conforms to an XSD Schema, the document must be validated against that XSD Schema. This article explains the procedure for performing that validation using XMLFox Advance 'XML against XSD validation' interface. Rustemsoft's XMLFox Advance is a useful XML and XSD schema editor. 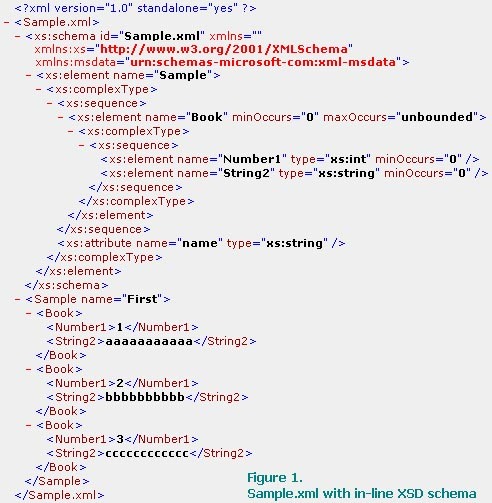 Before validating an XML document, you must specify the location of the XML XSD Schema. By using XMLFox Advance you can validate XML document for both cases, when your XML document contains an in-line XSD schema and for an outside XSD file as well. Take a look at two figures below. First one displays an XML with in-line XSD and the second shows two separate XML and XSD files. By using 'Preferences' window you can setup what type of XML validation you are working with. To run the validation, go to Script Page where your XML is open and click Validate button. The error messages will appear in the bottom part of the XMLFox Advance interface. Error will be located in XML script and its location will be highlighted. Also, by using XMLFox Advance you can output data to several other data format files. The Editor allows you export XML tables or whole XML to the following data files: TXT; convert into CSV (Comma Separated Value) file, convert into HTML page, create MS Access database, upload XML into SQL Server database, convert XML to PDF, and create Excel file.